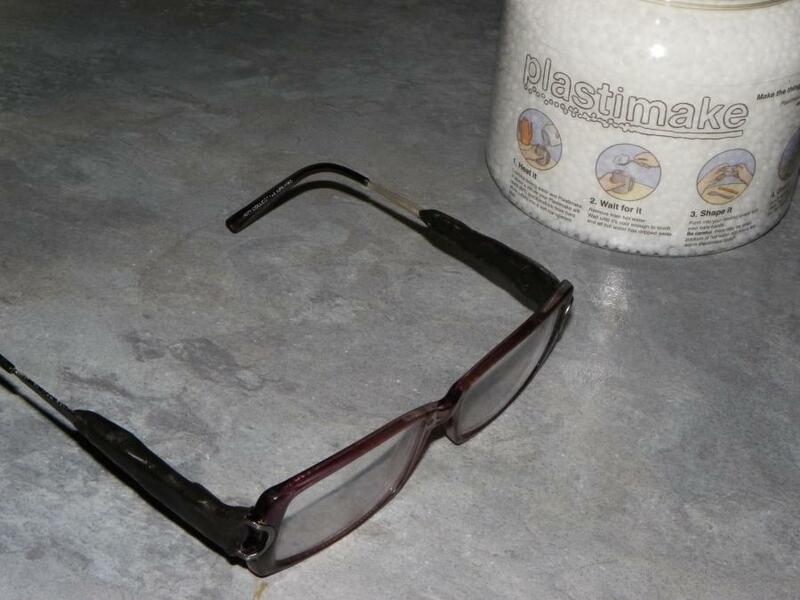 Julie used Plastimake to repair her favourite pair of computer glasses. We've seen a few different Plastimake eyeglass modifications in the past. By using dyed-black Plastimake and some careful moulding, Julie has achieved a really slick result.